BRYAN EATON/Staff photo. 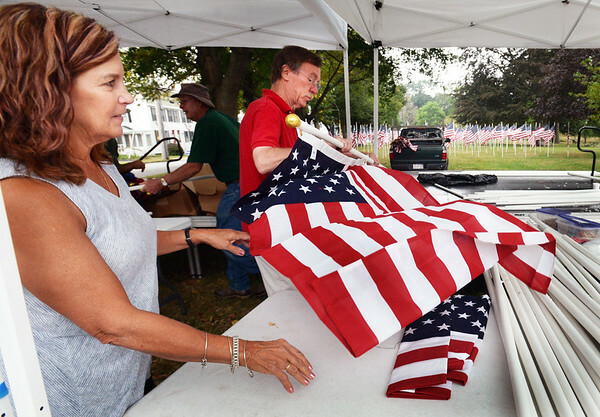 Members of the Exchange Club of Greater Newburyport Barbara Griffin, left, and Kieran Joyce, along with others, attach American flags to poles on Wednesday morning to post on Newburyport's Bartlet Mall for Sunday's Field of Honor Ceremony. The event honors all veterans, all military personnel still serving, first responders, personal heroes and those who perished in the 9/11 attacks.